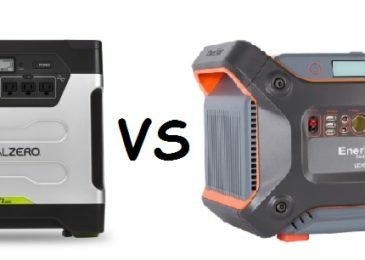 A full review of Suaoki 222Wh, GrantMaya 300 and Goal Zero Yeti 150 - top 3 portable solar generator under 250$. Here are the best portable solar generators which you can buy for under 250$. Check out the reviews of the top 3 models and get ready for your future camping trips, holidays in the wilderness as well as power outages. A powerful portable solar generator under 200$ – the Suaoki 222Wh features an extraordinary battery capacity of 60000 mAh. This travel buddy can be your helping hand on every trip or potential power outage. You wonder: What can it charge? Well pretty much everything, smartphones, tablets, laptops, power banks, but also TVs, mini refrigerators, drones, cameras, camping CPAP, even your holiday lights! All of your household electronics can have a reliable power source with Suaoki 222Wh. Due to Battery Management System (BMS) safety is guaranteed. It has a unique role of improving battery utilization, prolonging battery life and preventing overheating, over-voltage and over-current. Also, cleaner current is in your hands thanks to the pure sine wave which stops computers from crashing and reduces noise in TVs, fans and other household devices. 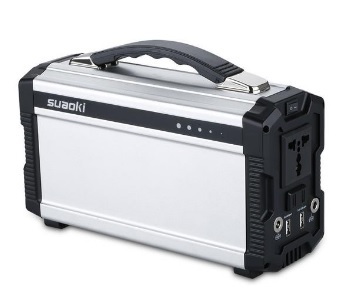 Like every portable solar generator this one too has the option of charging in 3 ways: by AC adapter, car adapter or by solar panel (recommend Suaoki’s 40W, 60W, 50W, 100W Portable Solar Panel). 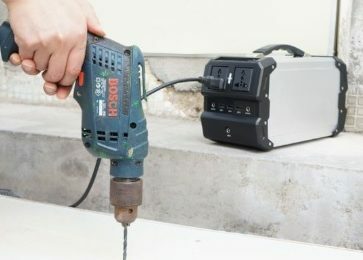 It is also very versatile and offers you two 100V/110V AC outlets, two DC outlets (an extra cigarette socket cable), two USB ports and 5 LED lights indicator. The generator has an aluminum alloy shell which makes it safer and a convenient handle for easy carrying. More compact build is allowed thanks to the high-density lithium-ion battery. The package has arrived, you open it and you see a Suaoki generator, one power charger adapter, one cigarette socket, one AC cable, one car charger cable and one detailed user manual. Yup, it’s all there. This portable solar generator has the following dimensions 9.8 x 6.3 x 3.4 inches and it weighs 5.51 pounds. Suaoki 220Wh is a portable solar generator which will improve your lifestyle greatly. Reliable, safe and sturdy – it will be your source of energy anytime and anywhere. Moreover, your sensitive electronic devices are protected from any power related damage. If you need a high capacity solar generator that is also lightweight and under 200$, then this your perfect match. 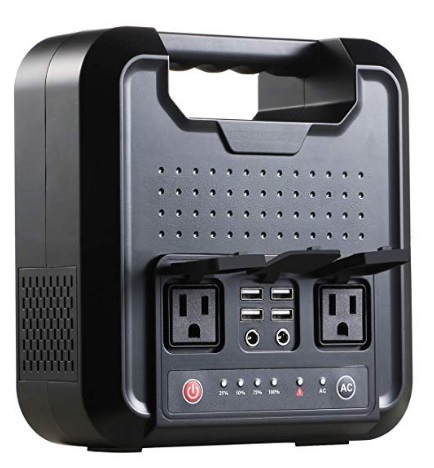 Another great portable generator- GrantMaya 300 offers 300 watts of energy and 220Wh high quality Lithium batteries. It is extremely easy to recharge due to the three charging options: AC adapter: just plug it in and in 7-8 hours it’s fully charged; 12V cigarette lighter or power outlet inside of a car or boat; or just use solar panels during the day anyplace (full solar charging lasts 10 hours). Everything you want it to charge. It has various outputs suitable for smartphones, tablets, cameras, laptops, GPS devices, portable gaming systems and also for power tools, TVs, lights, fans and other household devices. With UL safety certificate, you do not have to worry about a thing. You are provided with protection from overheating, over-current, over-load, short circuit and low voltage. Also, battery life is prolonged and its utilization is improved immensely. GrantMaya 300 is very compact due to its super slim size and lightweight. It will be your best friend on every single trip. In addition, it has a rubber cover which protects even in falling cases. This box of delights hides one portable power bank, one 15V/2.5A power adapter, one instruction manual, a 12-month warranty. Also have in mind that there is a very friendly customer service. The dimensions of this generator are 7.9 x 7.9 x 3.1 inches and it weighs only 2.74 pounds! Light as a feather. GrantMaya 300 stores a large amount of energy which is at your disposal any given time or place. Great performance and a reliable power source on every trip or power outage. Every characteristic of this solar generator is true to the bone and the charging process is quick and easy. This device gets the job done! 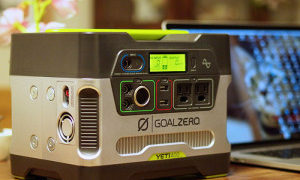 Goal Zero signifies high quality and this is the case with Yeti 150, with the 150Wh and 14Ah (12V) battery capacity. This power station has the ability of charging up to 5 devices at once. Another feature is the three different options when it comes to charging. First one is the wall charger (45W), the recharge process last about 6 hours. The second option is the cart charger (30W) which lasts 8 hours maximum. And the last, eco-friendly, charging option is by solar power: with Nomad 14 Plus Solar Panel it lasts 26-52 hours, Nomad 28 Plus Solar Panel it lasts 13-26 hours and with the Boulder 50 Solar Panel around 6-12 hours. The mighty Yeti can charge pretty much everything you want starting with phones and laptops and going over to smaller household appliances. 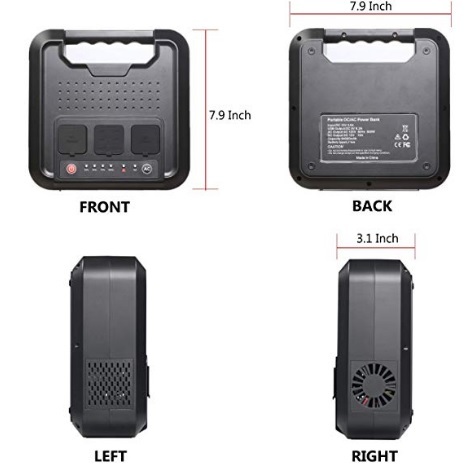 It will provide your smartphone with 9-12 recharges, a POV camera 25 recharges, a tablet 6 recharges, laptop 1-2 recharges and headlamp 25-50 recharges. 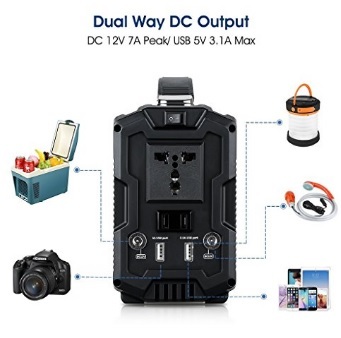 It has 12V ports that are suitable for any low power lights as well as a 80W modified sine wave AC inverter which is a perfect match for your laptop or a DSLR camera batteries. The package contains a Goal Zero Yeti 150 power pack with a wall charger and a 4.7mm to 8.0mm Legacy Nomad Panel Adapter. Modest but powerful. The dimensions of Goal Zero Yeti 150 are 7.75 x 5.75 x 6.75 in (19.7 x 14.6 x 17.2 cm) and it weighs 12 pounds (5.4kg). Check out the full Goal Zero Yeti 150 review. 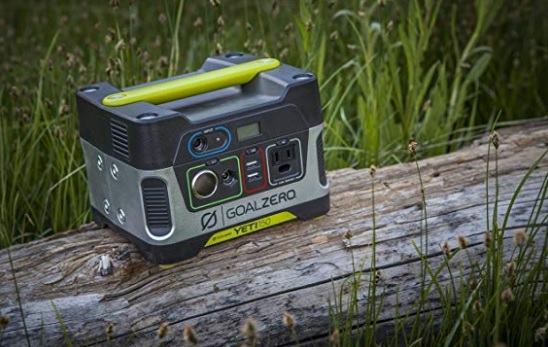 Goal Zero Yeti 150 is a travel friendly portable solar generator which is also safe for airline travel. It is designed in cooperation with the US based customer service center by power station experts which had the user in mind. You are on a camping trip, or have an emergency or simply you are going through a power outage: whenever you need energy, the Yeti will be there to help. See for yourself that Yeti is the friend that is always there for you. 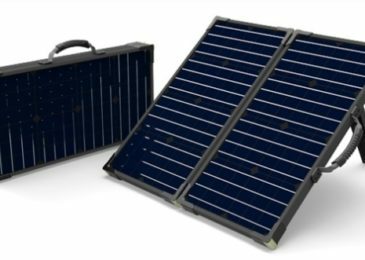 Previous Post How to choose the best solar briefcase?